Once every quarter, the guys at Valley schedule an fun event that brings that creates an opportunity for fun, spiritual growth, and building friendships. We'll have good speakers, good food, and good times. 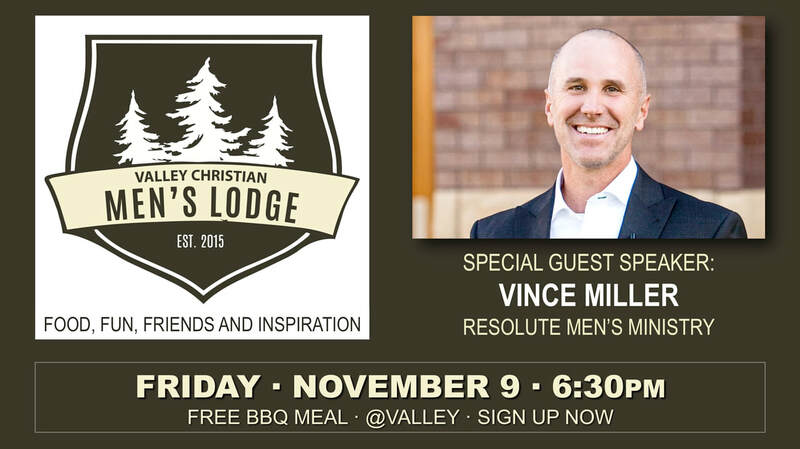 Join us for a BBQ Meal and some encouragement from guest speaker Vince Miller of Resolute Men's Ministry. After serving in notable ministry organizations for over 25 years (including Young Life, InterVarsity, TCU Football, and Eagle Brook Church), Vince founded Resolute, a non-profit organization focused on providing men with tools for discipleship and mentorship. CLICK HERE to learn more about Vince Miller and Resolute.